The quickest way to get into a spooky Halloween mood? By cowering on the couch as you watch your favorite horror films! We’re big fans of scary movies this time of year, so we decided to compile our own list—with a special spin. Read on for our 25 favorite horror films featuring—you guessed it—cats! 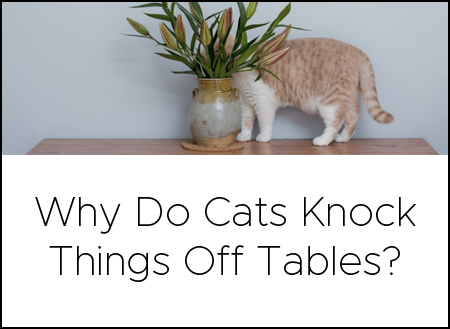 This list spans 85 years and includes movies where a cat appears as a distinctive role, regardless of screen time. 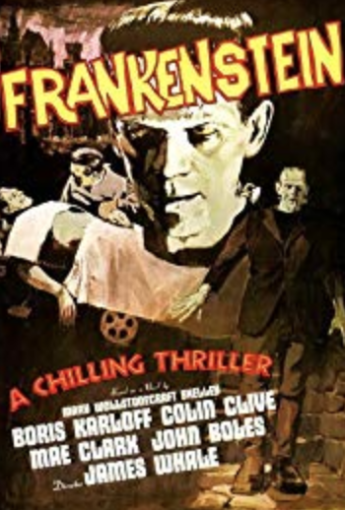 The classic screen adaptation of Mary Shelley’s novel includes a memorable scene where a little girl named Maria is walking around the edge of a lake near her family home, holding a tabby cat in her arms. 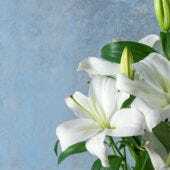 She bends to pick some daisies when Frankenstein suddenly appears; the little girl faces the monster calmly, but her kitty senses trouble. 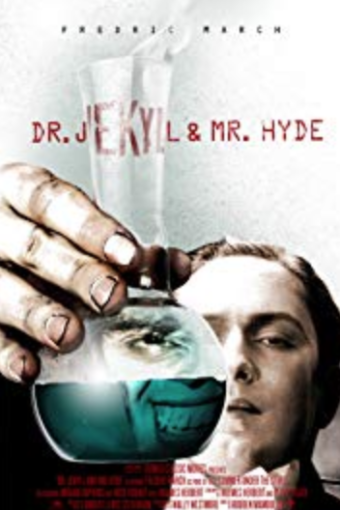 One of the most effective metaphors in this classic film is a scene where Dr. Jekyll has vowed never to drink the potion that turns him into Mr. Hyde again. As he walks in a park, he admires a nearby songbird—before spotting a black cat creeping through the tree branches toward it. Dr. Jekyll tries to scare away the cat, but it is too late for the bird. 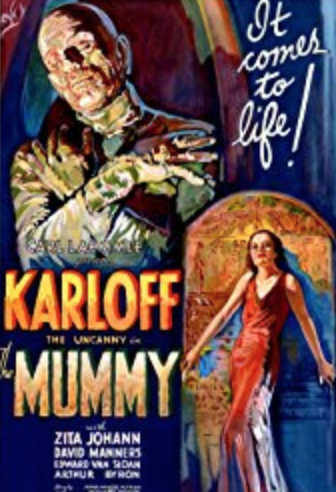 The mummy Imhotep keeps a white cat as a sidekick in yet another classic monster movie. At one point Imhotep explains to his love interest that the god Bast must kill the man who loves her. The ancient Egyptian goddess Bast or Bastet is often represented as a woman with the head of a cat, and was known as a protector of felines. 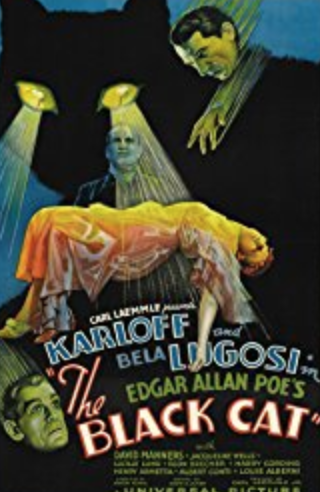 In this film based on the Edgar Allen Poe tale, a pair of honeymooners meet a mysterious doctor played by Bela Lugosi on their train. The titular black cat doesn’t make many appearances in the film, but there is a crucial discussion about how black cats are evil (eye roll), and that in lore black cats cannot be killed. 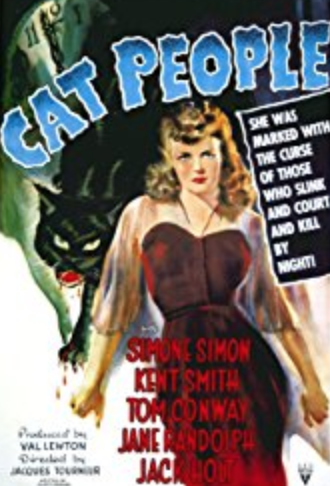 Cat People follows the story of a beautiful Serbian immigrant who fears her homeland’s ancient curse—that she will transform into a giant black cat upon being intimate with her new husband! Beyond the looming threat of a killer black panther, the film features several other domestic felines throughout. 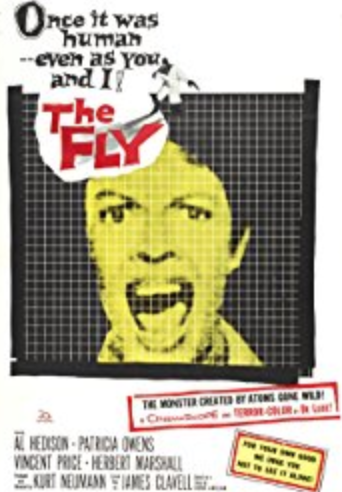 As far as horror films go, The Fly is infamous as both an original and remake. The story follows a scientist who discovers the means to transfer matter across distances, with some very messy consequences. 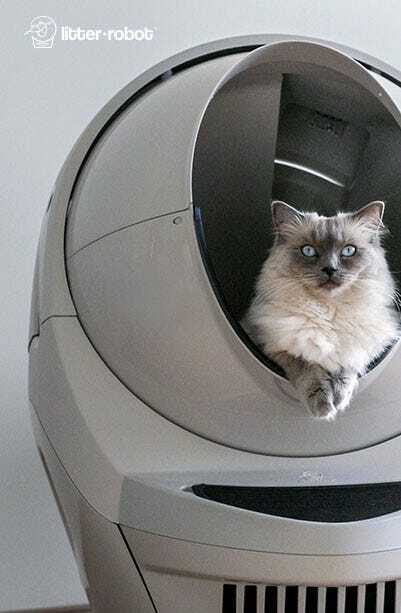 In this original film, the scientist (quite inconsiderately) places his son’s white Angora cat in his teleportation machine. The cat never reappears. 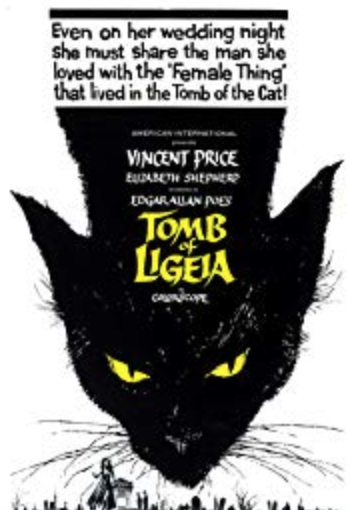 Yet another Edgar Allen Poe adaptation featuring a black cat, this film tells the tale of a man (Vincent Price) mourning for his late wife Ligeia when he meets and falls in love with another woman. Unfortunately, the spirit of Ligeia constantly comes between the couple—in the form of a spiteful black cat, no less. 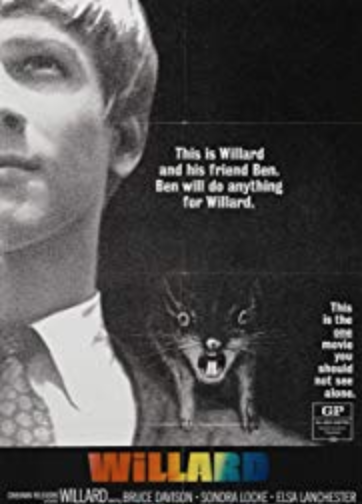 This movie follows the reclusive and socially awkward Willard Stiles as he befriends and trains an army of rats to do his twisted bidding. Willard’s co-worker buys him an orange tabby so he won’t be so lonely—clearly an issue for a man who raises rats. 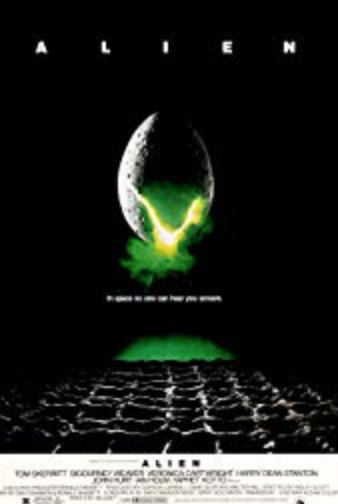 The kitty ultimately escapes harm; in the 2003 remake, though, the cat is not so lucky. 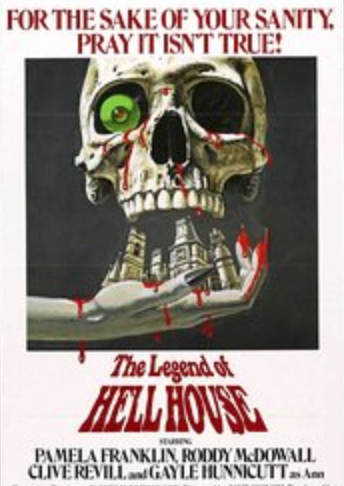 Adapted from Richard Matheson’s novel Hell House, this film follows three experts who are hired to either prove or disprove the possibility of survival after death by doing experiments in a notorious haunted house. The haunted house features a resident black cat that shows up throughout the movie, even lending itself toward the experts’ mission. Ridley Scott’s sci-fi horror classic wouldn’t be complete with the orange tabby Jonesy, who plays Ripley’s (Sigourney Weaver) faithful spaceship companion. Jonesy, just like his mom Ripley, is the ultimate survivor against a horrifying alien life form that wreaks havoc on the ship. Jonesy even makes an appearance in the sequel. 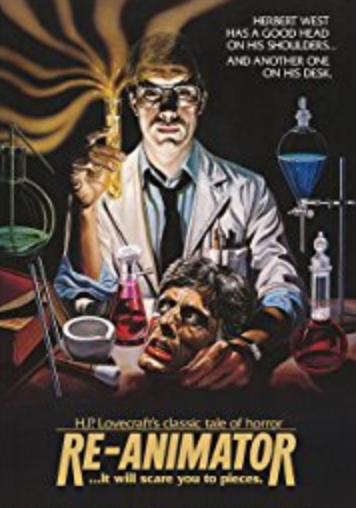 Arguably one of the cheesiest horror films on our list, Re-Animator features a medical student and his girlfriend who become involved in bizarre experiments centering around the reanimation of dead tissue when an odd new student arrives on campus. Unfortunately, the featured cat is, you guessed it, reanimated with disturbing and ridiculous results. 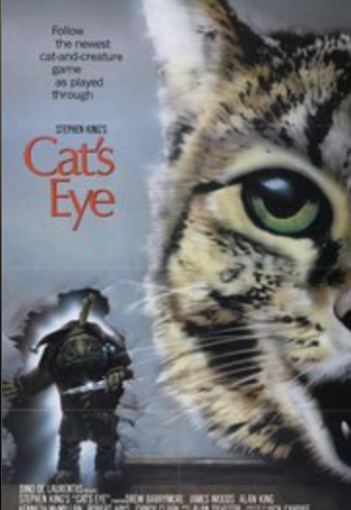 Cat’s Eye is a trilogy of Stephen King stories, two of which are based on the writer’s original short stories and one of which King wrote specifically for 10-year-old Drew Barrymore. A tabby cat named General ties all of the stories together and appears throughout the film. Some would say General is the true hero of the story. 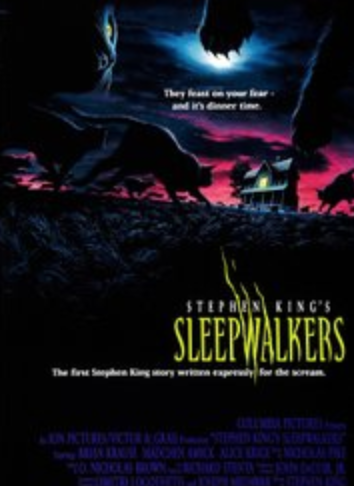 Another infamous Stephen King novel personified on screen features Church, the iconic smokey gray cat that revives upon being placed in a strange Indian burial ground. 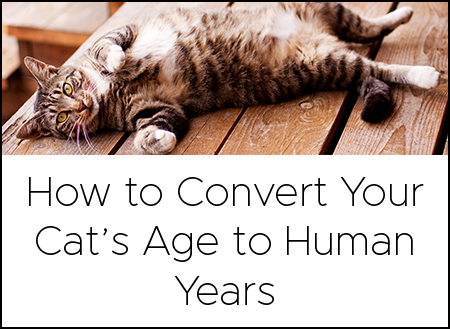 Unsurprisingly, the reanimated cat is not the same Church that his family once loved. If you’re opposed to seeing violent animal deaths, this is not a film for you. 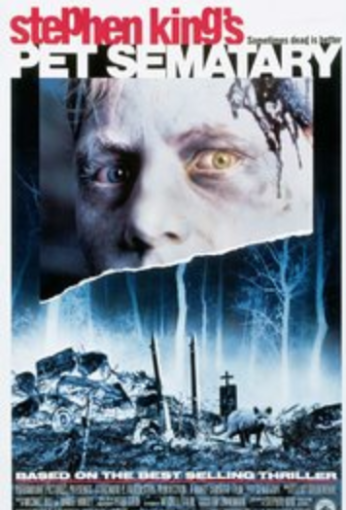 Yet another Stephen King screenplay tells the story of a mother and son who move to a small Indiana town. 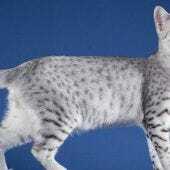 They are, in fact, shape-shifting sleepwalkers, cat-like creatures that feed off the energy of virginal women. Cats are featured prominently throughout the film, many of which help fight the evil pair! 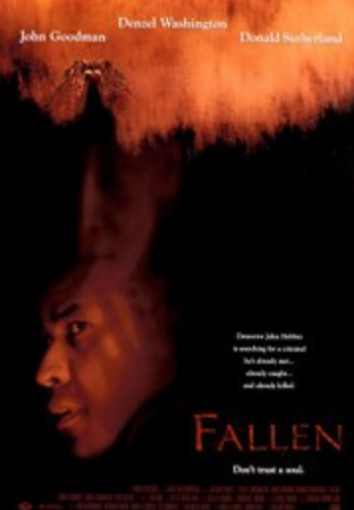 Fallen isn’t your typical horror film, nor does the featured feline play much of a role—until the very last minute of the movie. The story follows a detective (Denzel Washington) who grows concerned when a string of murders seems to mimic the style of a serial killer who was recently executed. The appearance of the cat in this film is truly pivotal. 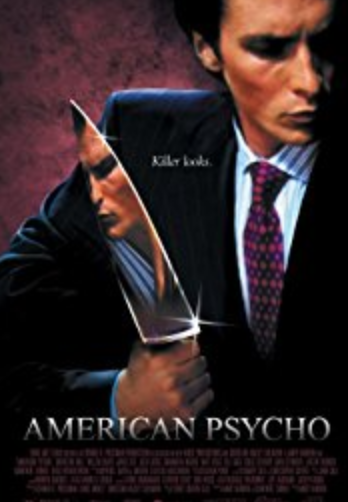 The film adaption of the Bret Easton Ellis novel tells the story of Patrick Bateman, a metrosexual yuppie investment banker who harbors a passion for good restaurants, 80s music, and killing. One memorable scene where Patrick attempts to feed a stray kitten to an ATM machine shows just how blurred the lines are between his reality and fantasy. Both this American remake and the original Japanese horror film prominently feature a black cat named Mar. Mar isn’t used for much besides hair-raising screeching, scratching, and meowing in this story that follows a nurse exposed to a mysterious supernatural curse that locks a person in a powerful rage before claiming their life. DC Comics’ John Constantine is a unique detective who uncovers and banishes demons from the realm of humans back into the pits of Hell. 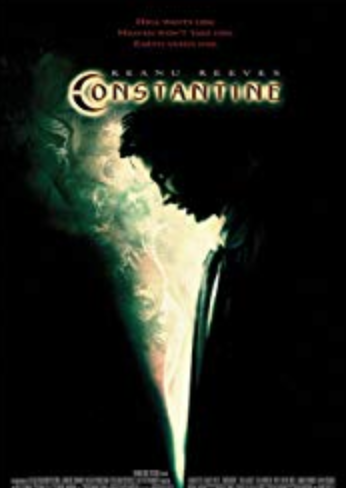 This 2005 film features a scene where Constantine holds a pet feline in order to facilitate his transition toward a visit to Hell, saying that cats are “half in and half out” of this world. This remake follows a teenage girl who finds herself babysitting in a remote house when a scary stranger starts calling her repeatedly. The family owns a black cat named Chester, who pops up throughout the film to induce quick scares and act the part of a red herring. This is one horror film where the cat actually has a happy ending. Warning: Drag Me To Hell is another of the horror films on our list where the cat does not have a happy ending. 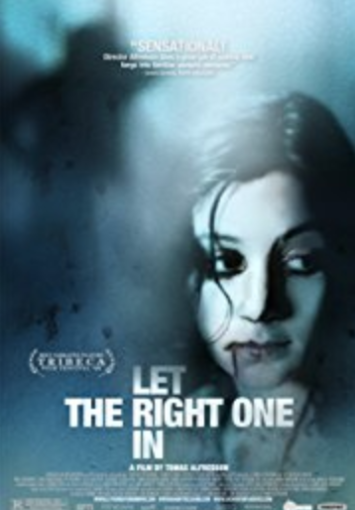 The movie follows the unfortunate fate of a loan officer who evicts an old woman from her home and finds herself the recipient of a supernatural curse. The young woman resorts to many desperate measures, including sacrificing her pet kitten. 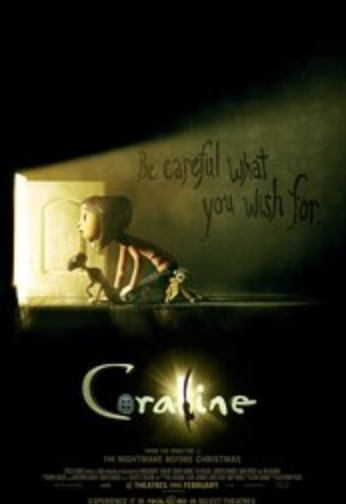 The only animated movie on our list of horror films is Coraline, the story of a young girl who discovers a hidden door in her new house that leads to a fantastic world that mirrors her life—only more colorful, fun, and, ultimately, sinister. One of the major characters is a black cat that often gives Coraline cryptic warnings about her new world. 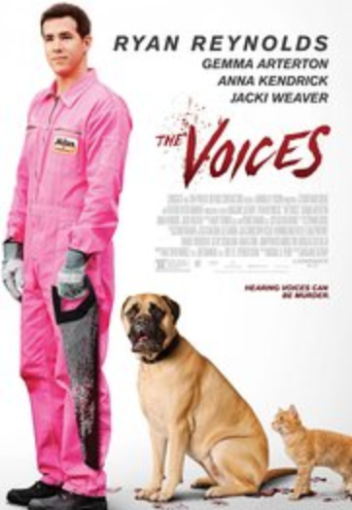 This horror comedy features Ryan Reynolds as Jerry, a man who wants to form relationships but struggles with mental illness. Jerry is guided by his evil talking cat and benevolent talking dog. He must decide whether to keep striving for normalcy, or indulge in a much more sinister path (encouraged by the cat, of course!). 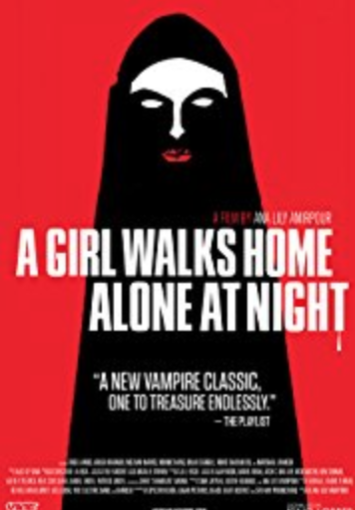 In the Iranian ghost town Bad City, a place that reeks of death and loneliness, the townspeople are unaware they are being stalked by a lonesome vampire. 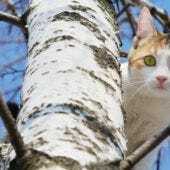 A scene-stealing cat named Masuka acts as sidekick to one of the main characters, appearing throughout the majority of this well-received indie film. 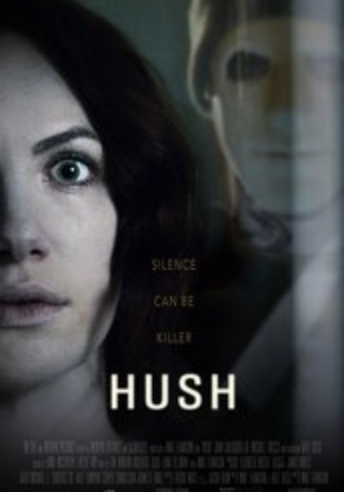 This Netflix original follows the story of a deaf author named Maddie who finds herself the target of a sadistic killer and must use her wits to battle a foe she cannot hear. Maddie owns a white Persian cat that pops up throughout the movie, although not always in the most helpful manner. Luckily, this is one kitty that survives! Looking for a feline-centric film that’s a bit more light-hearted? 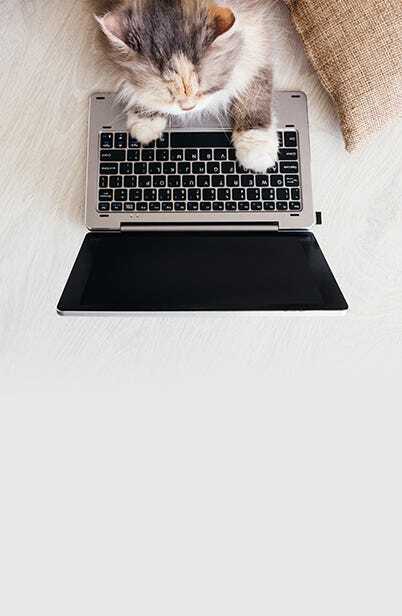 Check out our list of 15 movies to watch with your cat right meow!